Blu-Ray Discs – The Basics! 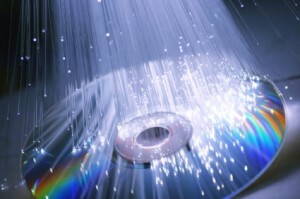 So the Blu-Ray disc is here and it seems, with growing sales, that it could well be here to stay! But what are the basics facts you need to know about this disc to stop confusion and to make sure you’re not getting ripped off? 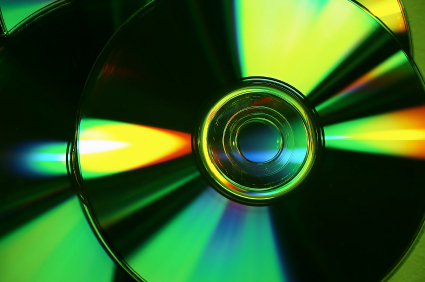 To start with, a basic outline of the disc itself: It’s a disc designed to hold high definition media in particular, best displayed on HDTV screens, but it can also be used for storing computer data. Having been in the works since 2002, the average Blu-Ray disc, or BD, can hold 25GB of information – more than enough for a feature length film! There are also dual layer discs on the market which can hold 50GB but they are rarer and much more expensive. The Blu-Ray disc is called this because, unlike a DVD or a CD, the laser beam which reads the disc is blue-violet and not infrared. The same as with DVDs, there are different formats of BD for different uses the user may require. Bear in mind that all these formats can be made in either the 25 or 50GB sizes. BD-ROM: This is the average Blu-Ray that you buy with a film on it. It’s not re-recordable and needs to be manufactured by a professional company. BD-R: This is a one-time recordable disc which can hold all sorts of different data. You can also burn video onto this at home or professionally. BD-RE: The same as a BD-R, only this one can be re-recorded onto many times. BDAV: This is read-only format, the Blu-Ray equivalent of the DVD-Video format. Ot allows for enormous (in fact unnecessarily large) pixel formats: Either 1920×1080 or 1280×720 and uses a progressive scan functioning at 50 or 60 Hz rather than DVD-Video’s 25 or 30Hz. What do all these numbers mean? Basically, it has a killer image – so good that for most households with average sized TVs, it’s quality overkill. Still, it’s worth it for the occasions where massive screens are around and the video just looks perfect! 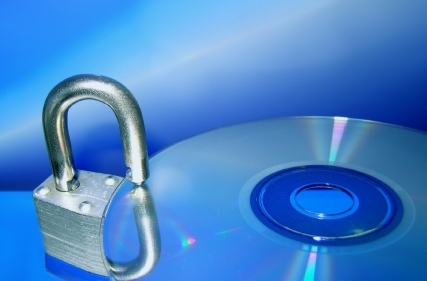 Manufacturers of BD-ROMs, BD-Rs and BD-REs claim that the discs have a 10-15 year life span and have the strongest content protection which includes strict licensing procedures. (Unfortunately these licensing procedures can seem quite complicated at first – so complex, in fact, that they merit an article all of their own which will be coming shortly!) BDs also ensure the highest HD quality and memory capacity of any disc available. They also use a tough coating which makes the disc slightly resilient against scratches and fingerprints. So that’s a basic guide to Blu-Ray discs – enjoy watching you’re BDs with their excellent quality and great interactive features! Posted in Helping You Decide, New Technology | Comments Off on Blu-Ray Discs – The Basics! Regional settings for BDs can look very complicated - so here's a simple break-down! The world of technology is constantly moving forwards and the latest addition to the world of discs is the Blu-Ray discs. However there have been some problems and confusion over Blu-Ray regional settings: Not only are they different from DVD regions, they are also not very well labelled! While it is worth bearing in mind that only about one third of Blu-Rays have regional settings, for those that do, it is very often marked on the packaging very poorly or not at all! Mass Blu-Ray duplication companies have been asked by the BD license to mark on the packaging somewhere what region the disc is, however very often the writing is miniscule and only says ‘A’, ‘B’ or ‘C’ which is meaningless to most people anyway! Some companies have also been guilty of leaving off the region setting altogether and have not been questioned on this: Therefore no marking could mean no regional code but it could also mean it’s simply missing or that you haven’t found the tiny writing it’s in yet! Not only this, but some companies have started renaming the coding systems: Amazon has turned ‘A, B, C’ into ‘1, 2, 3’ but does host a page explaining this in its FAQ section to counterbalance confusion. The BDA (Blu-Ray Disc Association) has been made aware of this situation. But many of you may well remember that when DVDs first started out they were avidly restricted to region settings and it was not until ‘hacked’ DVD players with no coding came out that the DVD market really took off, mainly because there were more DVDs in some regions then in others, thus when the regions were taken out of the equation, consumers were given much more choice as to what they could buy. Perhaps mass Blu-Ray duplication companies are hoping for the same thing because recently a ‘hacked’ Blu-Ray player, which is BD-Live enabled, has become available and, as yet, has also not been made illegal even though it breaks the coding laws! Whilst I obviously cannot condone a ‘hacked’ machine, it does seem to be the underground answer to the confusing labeling of Blu-Ray discs. The other option is from the BDA to finally call the mass Bly-Ray duplications companies to task and force them to properly label discs, not just send them the document which states that’s what they should be doing! You are currently browsing the Duplication Centre Resource Centre blog archives for July, 2010.